Some of our artists are willing to negotiate the prices of their artwork. 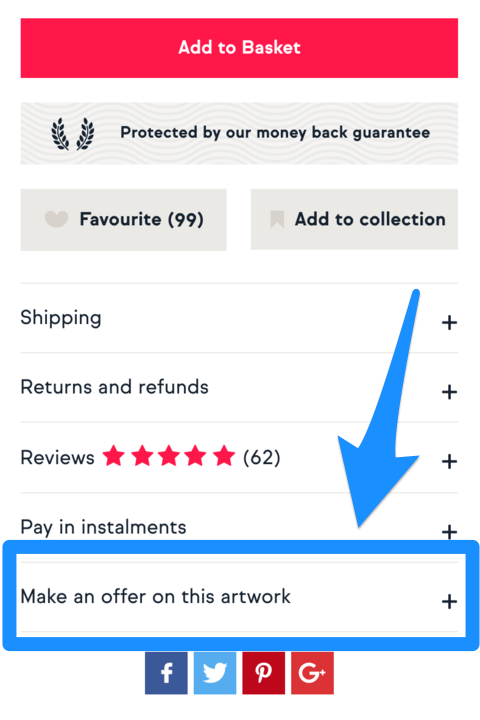 To do this, click the ‘Make an offer on this artwork’ button located on the right hand side of the product page, and you will be able to enter your ideal price. If this feature does not appear on the product page, we still encourage you to reach out to the artist via our messaging system. There’s always no harm in asking! For more information about how to contact an artist, please click here.